Shopping is my addiction. Some people are addicted to smoking or alcohol; clothes, shoes and bags are my vice. I also have an unhealthy obsession with buying PJs and lingerie; girl has to feel confident underneath, right? However, this shopping addiction is doing some serious damage on my bank balance. Usually I shop online, which has been great recently as I’ve sent about 90% of the items I’ve ordered back! Getting the refunds back coincided with my trip with my best friend to see Busted in Sheffield. Because it’s been so long since we’ve hung out properly, we decided to treat ourselves to a mini-break and a shopping trip to one of our favourite places, Meadowhall. Navy and white stripey dress, £5. 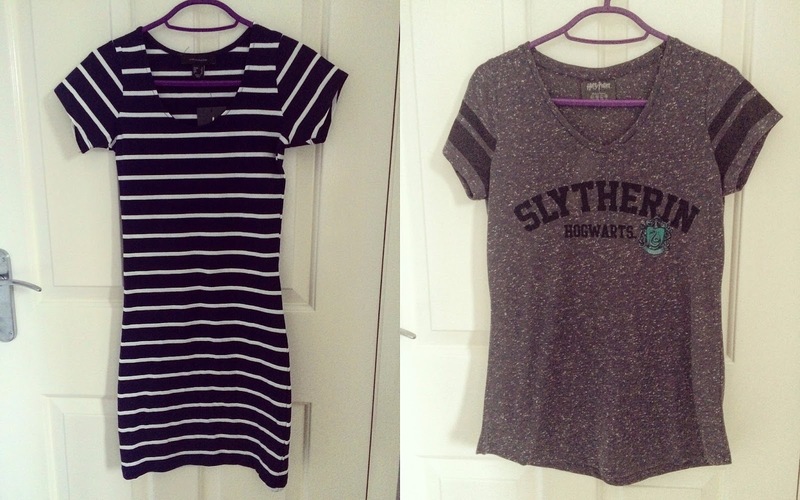 Grey Slytherin tee, £6. Mermaid PJ set, £4. Diamond PJ set, £4. PJ shorts, £2.50. Stripey t-shirt bra, £2.50. Range of underwear, £1.70-£2.50 each. 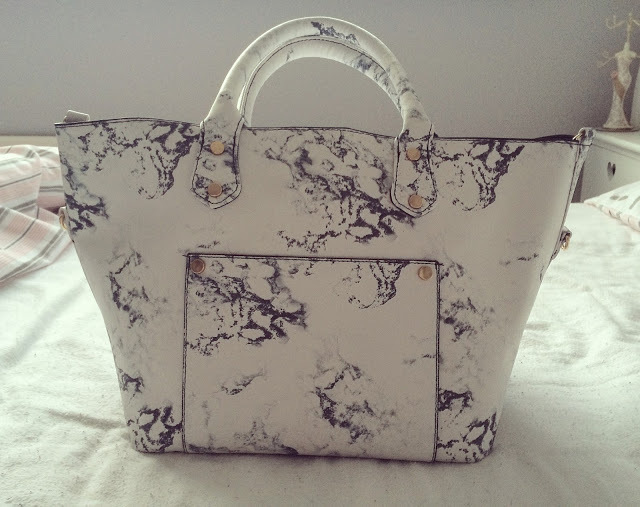 Special shout-out to this bag; it is perfection! Blue vest, £2.99. Floral bomber jacket, £24.99 (both New Look). Stripey t-shirt, £16.50 (Hollister). Hot crush body mist, £7. 5 for £25 underwear. I probably spent more money than I should have done but I like to think I can hunt out a bargain and then invest in something if it is worth the price. Normally, I’d pay more than £10 for a bag but I couldn’t resist as it looked so expensive! Victoria’s Secret is my weakness though; I love their body mists and underwear selection! I pretty much live in their knickers all the time because they’re so comfy and wash really well! Have you been on any hauls recently? Any good buys or offers I should look out for? Leave me a comment below!